Youth Fellows are leaders, mentors, and advocates in our community. ADONIS RAGLAND is a youth mentor, musician, and activist. Adonis brings humor, joy, and music to bring a smile on peoples’ faces as they go through their struggles. He’s a Youth Fellow at the Social Justice Leadership Academy, where he brings energy as the group’s Hype Man, and a mentor at Kite’s Nest, where he supports younger teenagers in dealing with trauma and anger. He plays on the Hudson Blue Hawks Football Team, and is a songwriter, musician, and member of the band Black Leather Seats and Vanilla Air Freshener. At Kite’s Nest Adonis leads the family of Warriors, the protectors of our community. ANGELIQUE RIVERA was born in Jamaica, Queens, and has lived in the Bronx and in Florida before moving to Hudson 18 years ago. Angelic graduated from Hudson High School and Questar III from Career Academy in 2018. Angelic is a natural caretaker and healer: she’s passionate about taking care of the people around her, drawing from her own life experiences to support others. 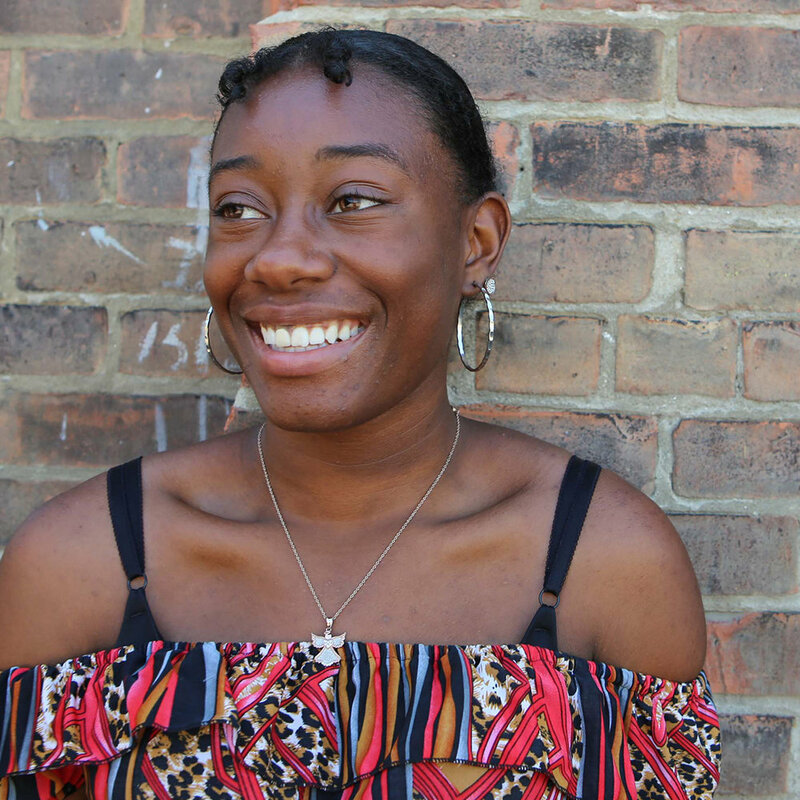 An aspiring nurse, Angelic’s work experience includes work as a caretaker, a hairstylist, a cook, a dog walker, and a youth mentor. Angelic is also a talented singer and enjoys gardening. Joining the Social Justice Leadership Academy 3 summers ago has made Angelic see Hudson and the world differently. She currently works as a Youth Fellow with the program, helping to lead the family of Healers. COURTNEY MURPHY is a writer, reader, saxophone player, artist, and mentor. Courtney grew up and currently lives in Columbia County, and is now a junior at the University at Albany. She is passionate about creating learning environments that are welcoming and culturally diverse, and is a strong advocate against police brutality, immigration and gender-based violence. She believes that chaos is the soul of creation and the basis for great things to happen. Courtney has been a member of the Social Justice Leadership Academy for three years, where she now works as a Senior Youth Fellow, leading activities and providing mentorship to youth. In her spare time Courtney writes for online media outlets, volunteers at the Albany Free School, creates flyers and marketing videos for events, speaks on issues relevant to her experiences as a bi-racial woman, paints, records and edits audio and video, and plays her saxophone. At Kite’s Nest Courtney leads the family of Griots, the storytellers and memory of our community. DEJA BEAUFORD was born in Philadelphia and raised in Delaware until 10 years of age, before moving to Hudson, NY. Deja is a skilled athlete: she plays basketball at Hudson High School and for an AAU team called the Lady Hawks, and plays for the JV softball team. One of her role models is Lebron James, who said, “Talent is given, greatness is earned”. Deja works as a Youth Fellow at the Social Justice Leadership Academy, where she helps to lead the family of Warriors, the protectors of our community. DOMNIQUE CURRY was born in 1998 at St. John’s Hospital in Queens, NY. She is currently a junior in college, where she studies criminology. Dominque is a part of the step team and is the president of the school’s Multicultural Student Association. She also serves as a mentor for incoming freshmen, helping new students with the transition from high school to college, motivated by the mentorship and support she received as a freshman from her own mentors. During the summer Dominque is a Youth Fellow at the Social Justice Leadership Academy, where she helps to shape young leaders and create a comfortable place for young teens. Dominique is an outgoing leader, who keeps herself busy with projects around her community to make a change. At SJLA Dominque leads the family of Builders, the architects of our community. EMMANUEL CARR-HINDS is a graduate of Catskill High School, Questar III BOCES, and Hudson Valley Community College. Born in Hudson and raised in Catskill, Emmanuel is a passionate and skilled illustrator and painter, a fisher, and a friend to all. He has worked as a maintenance assistant at the Catskill Housing Authority for 4 years, and was an intern at Main Care. Emmanuel believes everyone has a good side, but they just need someone with a positive attitude to bring it out. He's worked as a volunteer mentor with the after school Space 2.0 at Kite’s Nest, and currently works as a Senior Youth Fellow at the Social Justice Leadership Academy, where he serves as a mentor for teenagers and helps lead the family of Artists. EGYPT THOMAS was born in New York City and raised in Hudson, NY. Egypt is a Junior at Hudson High School, and will start college courses this fall. Her skills and interests include singing, stepping, bowling, working with in-house patients, and taking care of her father. 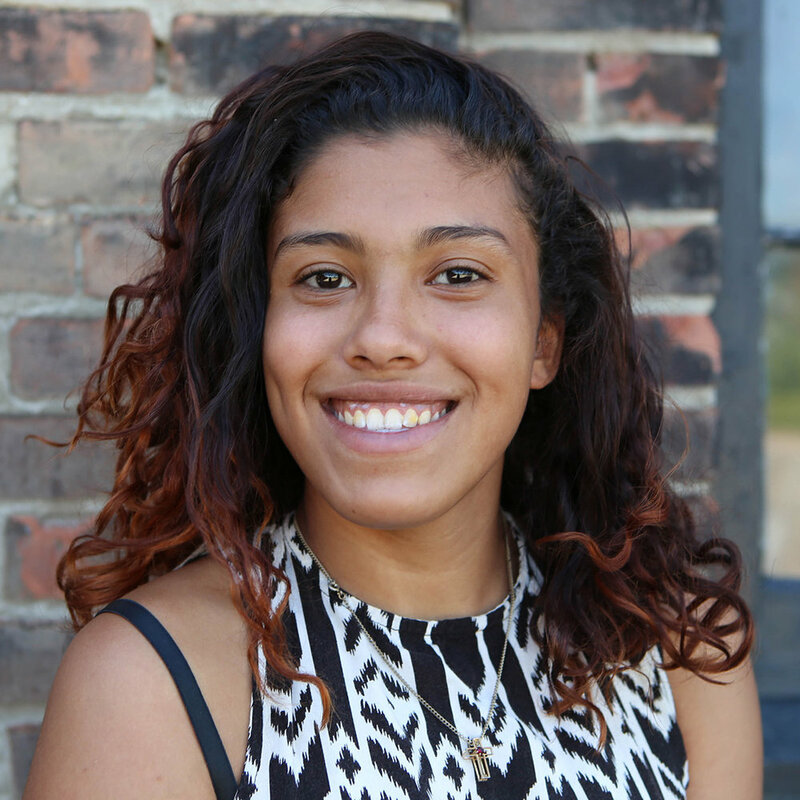 Egypt has worked as a counselor-in-training at HBN ASP in Hudson, and as a Youth Fellow at the Social Justice Leadership Academy, where she serves as a mentor for younger teens. Egypt is passionate about stepping and putting others before herself: she’s caring and hardworking, and likes to make people smile. Egypt’s role model is her mother, Charlene, because she was very strong and fought a great amount before she passed away. She believes that everyone is equal no matter what shape, size, color, and nationality they are. At Kite’s Nest Egypt helps lead the family of Healers. JAMAR BEAUFORD is an award-winning poet, fashion designer, radio host, youth mentor and advocate. He has worked as staff at the Hudson Youth Center, and as a Youth Fellow at the Social Justice Leadership Academy. Jamar is a creative and outside-the-box thinker, bringing an artistic and entrepreneurial spirit to everything he does. 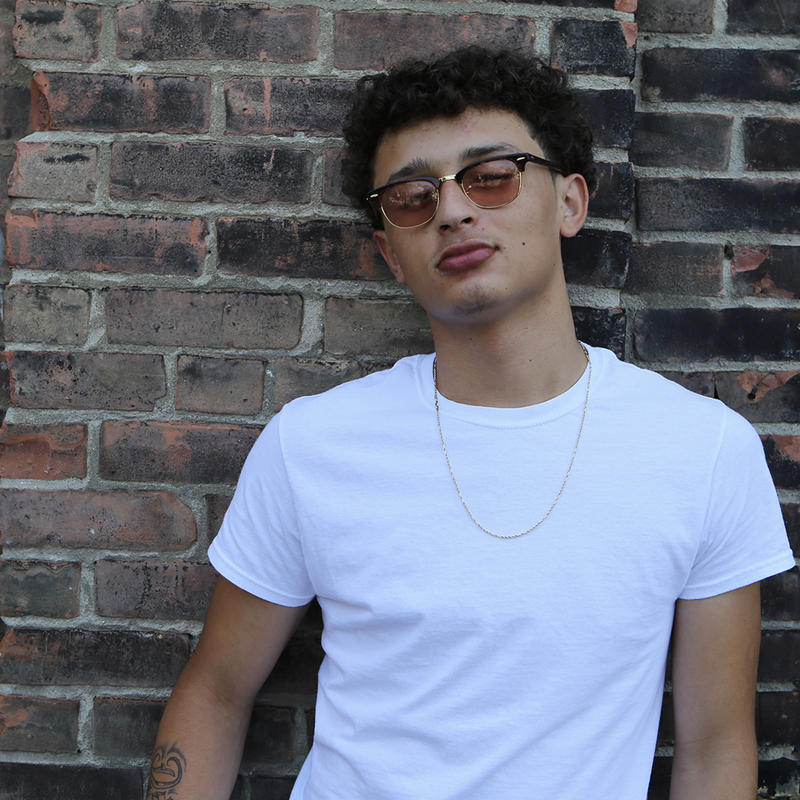 In 2018 he won the Create 4 Freedoms poetry award for his poem “Silky,” and the Young Writer’s Competition Poetry Contest for the poem, “REALLY?” Jamar is currently working to create a Teen Club for youth in Hudson, as a response to the lack of opportunities for teenagers in Hudson. You can hear Jamar sometimes on Drive Time Radio at WGXC: 90.7-FM, on Wednesdays 4pm - 6pm. At Kite’s Nest Jamar leads the family of Griots, the storytellers and memory of our community. JASON O'BRIEN was born in Virginia and raised in Hudson, NY. 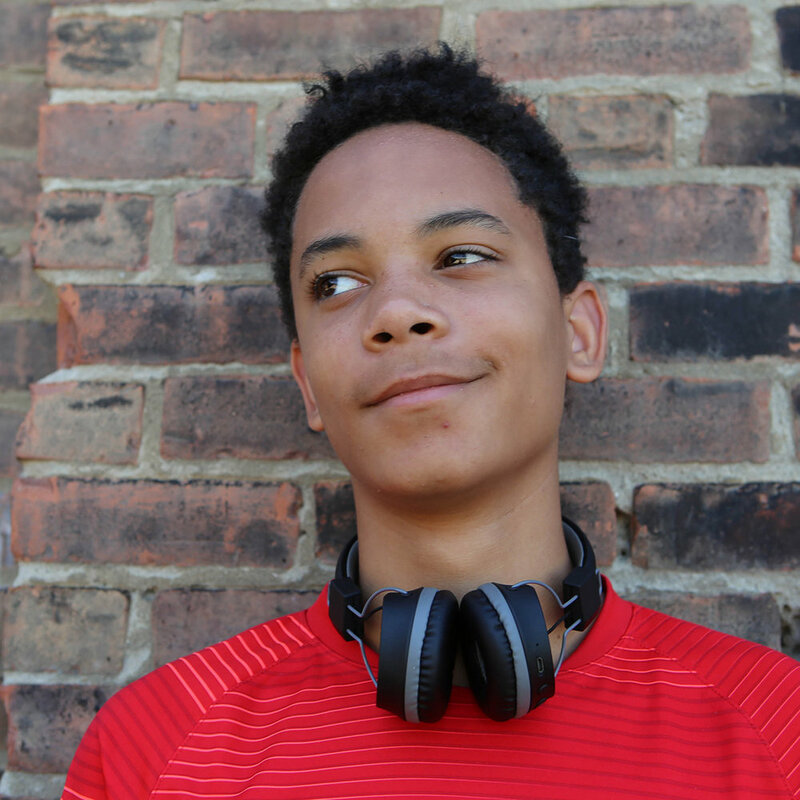 He’s is a 10th grader, with interests in skating, biking, and sports. Jason believes in reincarnation and spends his free time hanging out with his friends. Jason is in his 3rd year at the Social Justice Leadership Academy, where he now works as a Youth Fellow and helps to lead the family of Artists. TERRELL STARR was born at the Columbia Memorial Hospital in Hudson, NY. Terrell is an advocate for youth not only in his city, but anywhere people need an advocate: building on his own life experiences, he is passionate about helping kids that come from rough places, and giving youth a chance to speak about what they’re going through. Terrell’s interests include playing sports, going to the weight room with his friends, and spending time with his nephew. He has worked as a Youth Fellow for two years at the Social Justice Leadership Academy. One of his own role models is his cousin Richard, who just returned from the army. Terrell believes that everyone deserves an equal chance at life. At Kite’s Nest, Terrell is the Kitchen Guru, keeping the kitchen spotless and fun.